Party pants required - Oktoberfest is coming! 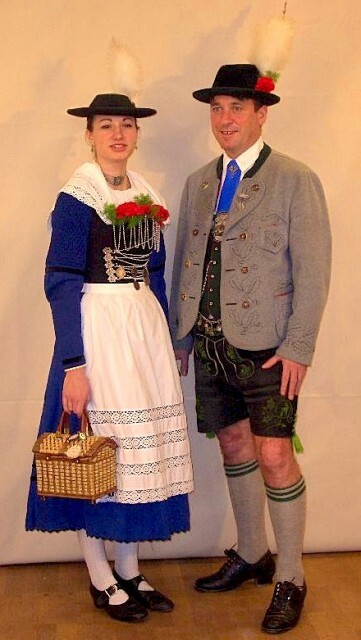 Get your beer steins polished up and your party pants on (better known as lederhosen in Bavaria). 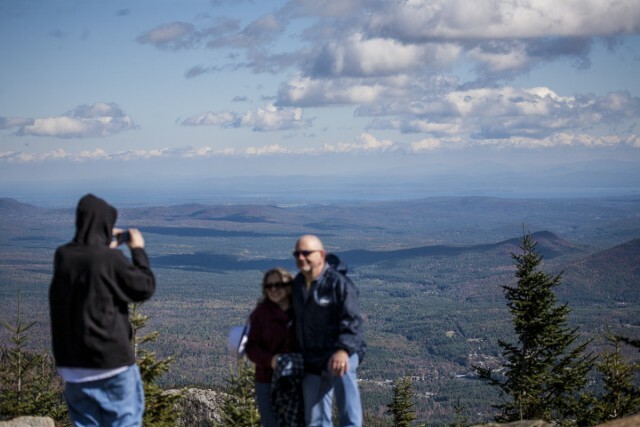 Then grab your friends and head to Wilmington, New York for the Whiteface Mountain Oktoberfest! The annual event has become one of the most popular of the many Oktoberfest celebrations in the Northeast. 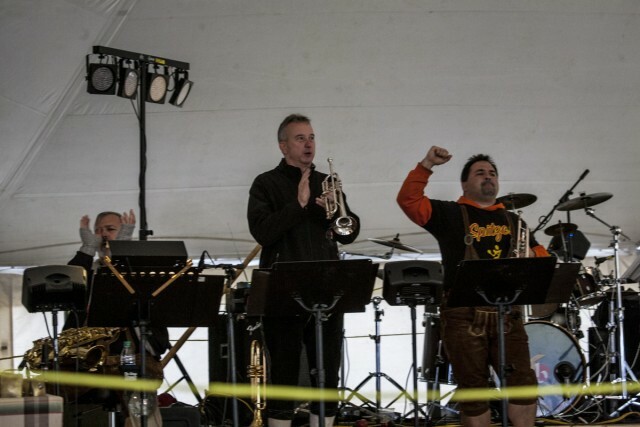 Over the years the entertainment at Oktoberfest has grown from one band to several. The entertainment runs from noon to the end of both days, non-stop. The headliner for the past couple of years is a Northeast German band by the name of die Schlauberger (dSb). dSb is a powerhouse of musical expertise. From alpine sounds to rock and roll and festival standards, this band is not-to-be missed as the headline entertainment group for the weekend. dSb will be joined by several other entertainers on the main stage of the Oktoberfest big top. Non-stop entertainment will keep you singing, dancing, and slugging back the beer throughout the day. In addition, the German/American show band Spitze will perform. 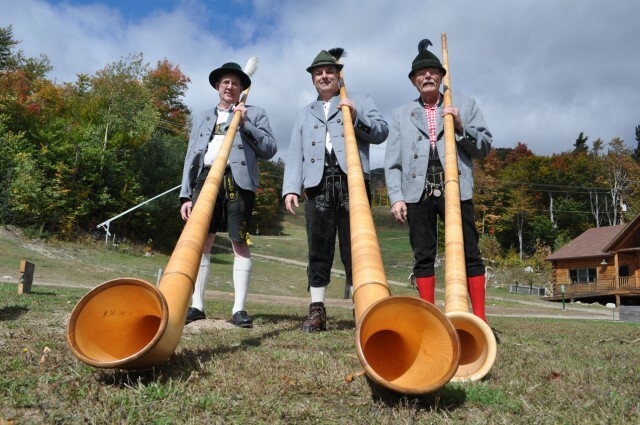 Spitze regularly features cowbells, alpine xylophone, the alphorn, and yodeling of course! Two other excellent entertainment acts, including the always rousing Alpenland Taenzer dance group, will keep things going in between. Don't forget to check the detailed entertainment schedule for times. The festival is also a great time to take advantage of a ride to the top of Little Whiteface on the gondola. The views from the top of the gondola line are spectacular. One side overlooks Placid Lake and Lake Placid village, with the High Peaks of the Adirondacks beyond. The other side overlooks the Northern Adirondacks and Lake Champlain. On a clear day the view can go almost as far as Montreal (about a 90-minute drive from Wilmington - depending on the border traffic and how fast you dare drive in Canada). The reduced price of only $14 for the gondola during the festival weekend will save you six whole dollars off the regular price of $20. Don’t miss this great deal! Indoor entertainment will include a group performing as “The Little Circus” in the Base Camp Market on both days of the event. This performance will include juggling, aerial art, and tight-wire walking in this brand new Oktoberfest addition. i dare you to try it - the ... a i r b a g ! 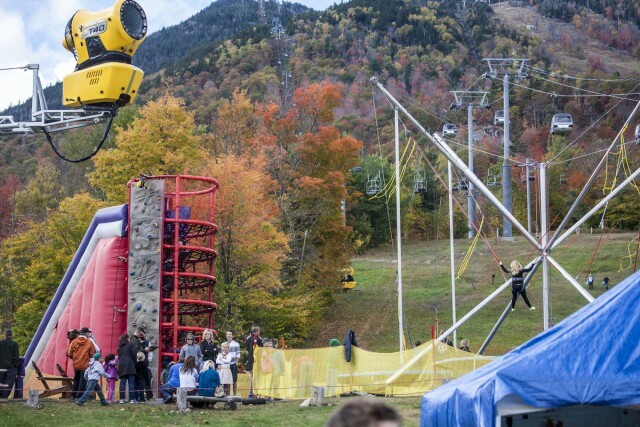 Oktoberfest wouldn't be complete without one of the most popular attractions around the High Peaks Region - the Whiteface Airbag. For $10 a jump, or $25 for three jumps, you can ride the scissor lift up to 50 feet in the air (or lower if you’re chicken like me - you tell ‘em where to stop) and plunge into the huge airbag below. It’s like jumping into a feather pillow! There’s always a line for this attraction wherever it goes, so get there early. In addition to the bag jump there are numerous adventure park rides and kids' activities to keep even the youngest busy. New in the past few years is the popular Oktoberfest Lederhosen 5K run. This trail run around the base of Whiteface begins at the ski center and will be held on Saturday at 11am. Pre-registration cost is $50 and includes free admission to the festival, a commemorative t-shirt and pint glass along with a free beer or soda, depending on your age. For those younger or less energetic, a 1K Fun Run beginning at 1 pm is an option. Competitors will run with a full beer or soda. Prizes will be awarded for the most in the cup at the finish. Registration is $20 and will include 2 free beers or 2 free sodas. 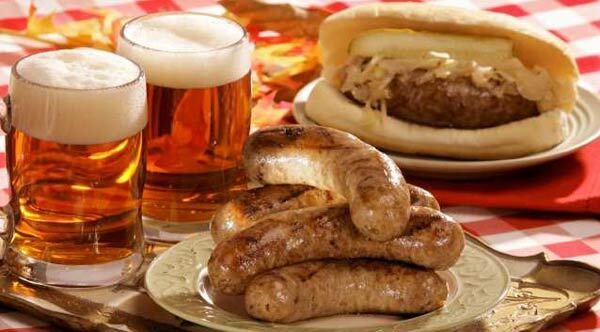 Of course, no Oktoberfest would be complete without genuine German beer and food. Whiteface will provide plenty of both for your dining and drinking pleasure. You won't go home hungry or thirsty for sure! There is always the ever-popular craft vendor area at Oktoberfest and this year is no exception. 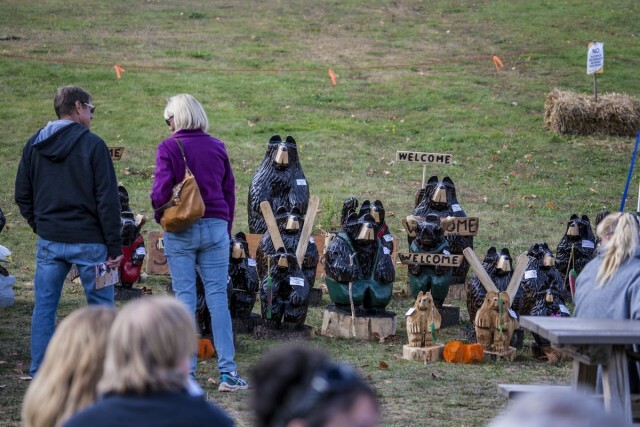 Don’t miss some of the best artists and crafters in the Adirondacks at this annual event. It’s a great time to think about those upcoming Christmas gifts on your lists. Or just bring something home as a souvenir. Don’t worry about driving after imbibing at this popular festival which kind of centers around the beer thing, since Whiteface provides a shuttle to and from Lake Placid and Wilmington throughout the festival weekend. Departure from the Olympic Center Box Office in Lake Placid takes place at 11 a.m., 1 p.m. and 2:30 p.m. Departure from Whiteface to Lake Placid takes place at 2 p.m., 4 p.m., 5 p.m. (Sunday only), and 6 p.m. (Saturday only). From Wilmington pick-ups are at noon both days with the return shuttle leaving Whiteface at 5 p.m.
Plan ahead and make some early lodging reservations as this is one of our busiest weekends of the year. It's no paradox: Beer & pretzels are a perfect pairing. What do car washes & cellars have in common? Brew it, and they will come.